A new documentary depicts the blood-testing company’s founder Elizabeth Holmes as an unblinking, controlling CEO who believed she could defy science. Her $9 billion dreams ended in fraud charges. In some ways, though, it’s a painfully normal Silicon Valley story. The 31 bln euro Dutch medical tech group has a lower valuation and operating margin than its larger German peer. Steady growth and a Healthineers stumble could help it close the gap. Global ageing should lift both companies, though Philips has the greater recovery potential. The drug giant reckons it’ll take years to get a good return on its pricey acquisition of Loxo. But the upstart has had startling success figuring out why rare cancerous mutations occur, rather than where. Longer term, that should make for plenty of targets – and sticky prices. Jay Y. Lee championed the $20 bln Samsung BioLogics as a new engine of growth at the South Korean conglomerate. Now the arm faces delisting for breaking accounting rules ahead of its IPO. Such a punishment would be harsh but also fit with Seoul’s new resolve to rein in tycoons. Allogene hopes to sell off-the-shelf cancer immunotherapies. But the firm is under a year old and its treatments may take 10 years to reach the market. Going public bucks the trend of startups staying private for longer. Its founders are striking while their reputations are hot. Buying Clarus, which finances biotech and pharma trials, is outside the buyout giant’s comfort zone. It’s riskier than taking over mature businesses with steady cash flows. The deal is modest in size, though, and as drugmakers look to outsource, could be a useful petri dish. WuXi AppTec, a $13 bln group which carries out research and clinical trials for the likes of Pfizer, will list in Hong Kong. An overhaul of mainland rules to spur local drug development means business is booming. After a healthy debut in Shanghai, investors will take note. The drugmaker is paying a 29 pct premium to buy out shareholders in a gene-profiling group it already controls. The deal fits its strategy, but will take years to pay off. With Roche’s cancer business challenged, fuzzy M&A is another reason for investors to steer clear. 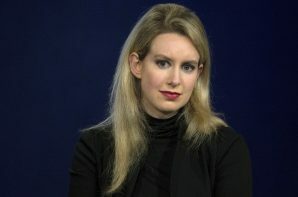 “Bad Blood” tells how Theranos, a company with a single flawed idea, attained a $9 bln valuation. A combination of need, greed, ignorance and hubris made it possible for a seductive fairy tale to outpunch scientific skepticism. Companies can’t live on stories forever, though. The $42 bln Japanese drugs group may bid for $45 bln takeover machine Shire. There’s not much overlap, and uncertainties hang over key businesses. But Shire is cheap, and its shareholders exasperated. That may appeal to Takeda boss Christophe Weber, but it's also a warning. The French group is buying blood disorder biotech Ablynx for 3.9 bln euros. That’s 50 pct more than rival Novo Nordisk bid, including protections against drug flops. Combined with last week’s $11.6 bln purchase of a haemophilia group, Sanofi’s new acquisitiveness lacks caution. Alexion prospered selling niche drugs at stratospheric prices, until hit by a botched deal, sales improprieties and a thin pipeline. Replacing its CEO hasn’t helped and the stock is nearly half its peak. The activist’s push to shape up or sell is just what the doctor ordered.